Kirk Bell February 22, 2016 Comment Now! 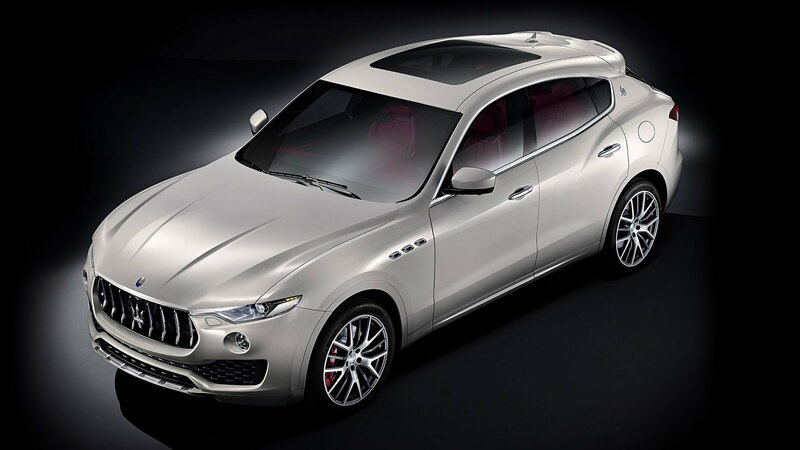 Earlier today,leaked images of the production-ready Maserati Levante surfaced on the Internet prior to the official debut at the 2016 Geneva Motor Show. 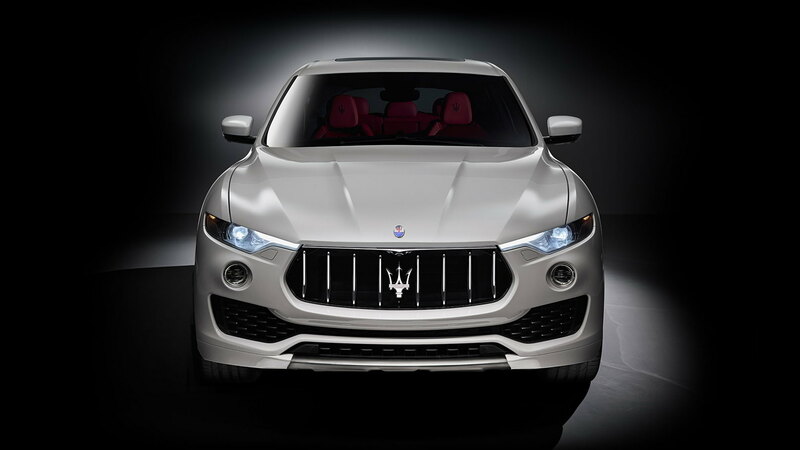 Apparently, that leak has spurred Maserati to get out in front of the story as the Italian luxury brand has taken to Twitter to reveal the Levante under its own terms. The images confirm that the earlier leak did indeed show the production-intent SUV. The design is not the same as the Kubang concept from the 2011 Frankfurt AutoShow. The front is features a bold version of the brand's corporate grille, with cat's eye headlights, a large lower air intake, and, yes, portholes on the front fenders. The strong rear haunches flow into a rear end that mixes elements of the Porsche Cayenne and Alfa Romeo Giulia. The Levante will use the rear-wheel-drive architecture from the Ghibli and Quattroporte sedans, though it will be closer in length to the mid-size Ghibli. Maserati also confirmed that the Levante will use an electronically controlled suspension with adjustable dampers and air springs. An eight-speed automatic transmission will send the power to all four wheels through Maserati's Q4 all-wheel-drive system. We expect that power will be provided by a turbocharged 3.0-liter V-6, and a Ferrari-sourced 3.8-liter V-8 is likely in the cards as well. Maserati says a diesel engine will also be offered, but we think it may not make it to the United States. The most powerful model should have at least 500 horsepower. 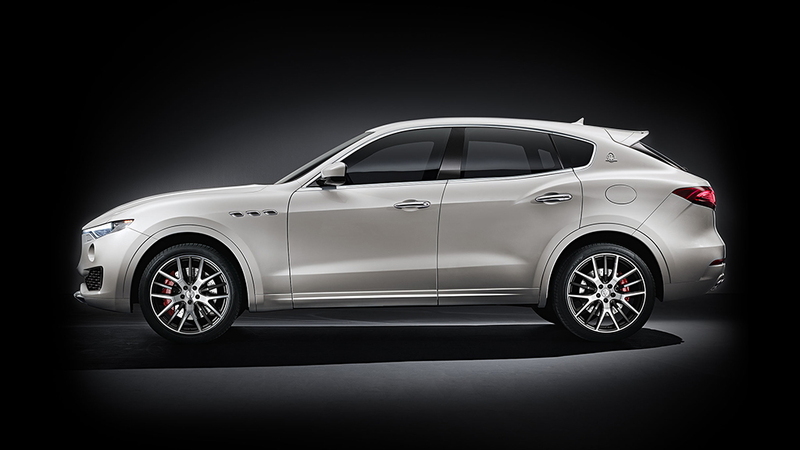 The Levante is scheduled to go on sale in Europe this spring and it will come to the U.S. later in the year. 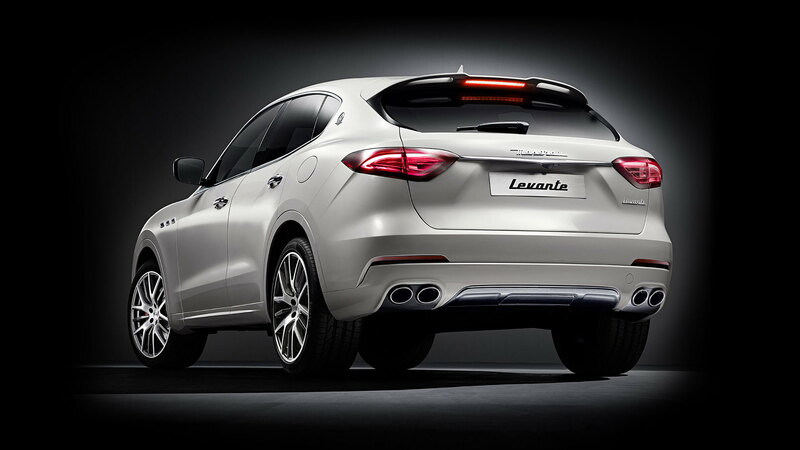 We'll have more information when the Levante is shown in Geneva next month. Stay tuned for more details at our Geneva Motor Show hub here.